Ali Watkins would be reassigned from the paper's Washington bureau to New York in the wake of revelations that she had been involved with James Wolfe. 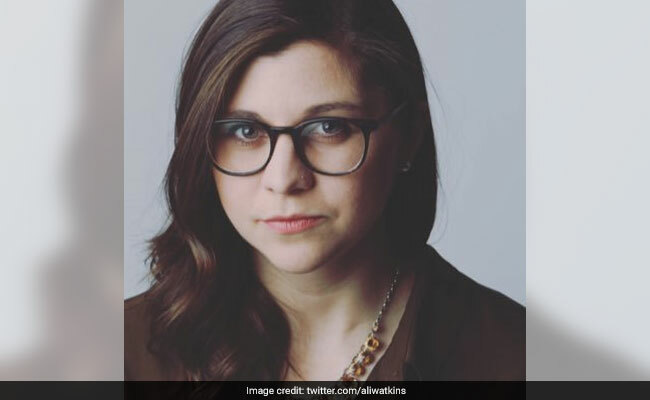 Reporter Ali Watkins will remain with the New York Times, but in a new capacity. The New York Times demoted a reporter who acknowledged a romantic relationship with a Senate staffer who is suspected of leaking information to journalists. Times editor Dean Baquet said Tuesday he would reassign the reporter, Ali Watkins from the paper's Washington bureau to New York in the wake of revelations that she had been involved with James Wolfe, the former head of security for the Senate Intelligence Committee. Watkins covered the committee for a number of publications, although not the Times. 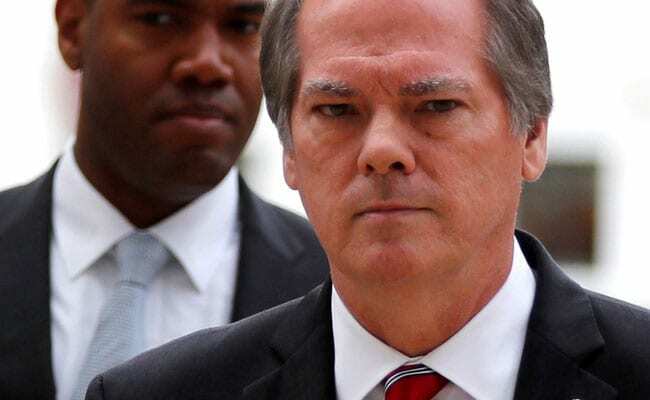 Wolfe was indicted on June 7 for allegedly making false statements to FBI investigators about his contacts with reporters, including Watkins, during their investigation of leaks from the committee. Wolfe has pleaded not guilty and denies giving classified information to reporters; Watkins hasn't been charged with any crime. The episode has alarmed some press organizations because of the manner in which Watkins' relationship with Wolfe was uncovered - via investigators' secret seizure of her phone and email records, which showed extensive contacts between Watkins and Wolfe over a three-year period starting in late 2013. The aggressive tactic has drawn criticism, including from Baquet on Tuesday, because it appears to be a government effort to intimidate reporters and interfere with legitimate newsgathering efforts while rooting out the source of leaks. At the same time, the disclosure of Watkins' relationship with Wolfe - which ended in 2017, before she joined the Times - has thrust the Times into the awkward position of investigating one of its own journalists for possible ethical violations. Most news organizations regard a romantic, familial or financial relationship between its journalists and their sources as a gross breach of ethical conduct. Watkins, 26, has denied that Wolfe was a source in her reporting on national security while she worked for McClatchy, BuzzFeed, Huffington Post and Politico. She disclosed her relationship with Wolfe to these publications in varying degrees of detail, according to the Times. She sometimes cited Wolfe by name and position, and other times she didn't. She told Times editors in Washington about the relationship when she joined the paper, but they apparently didn't tell senior editors in New York about it. A secondary issue for the Times was Watkins' failure to tell her editors for nearly four months that federal prosecutors had seized her records as part of their investigation. The Department of Justice notified Watkins in February that her records were part of the investigation, but she withheld this highly unusual - and newsworthy - information on the advice of her attorney until early June. Reporters are generally obligated to disclose instances in which they're part of a story they're covering or might cover. In a staff memo on Tuesday, Baquet said Watkins would be reassigned to an unspecified position in New York "where she will be closely supervised and have a senior mentor." "We are troubled by Ali's conduct, particularly while she was employed by other news organizations," he wrote. "For a reporter to have an intimate relationship with someone he or she covers is unacceptable. . . . I believe she was not well served by some editors elsewhere who failed to respond appropriately to her disclosures about her relationships." But he said the Times bore some responsibility as well. "Our inquiry found that during the hiring process she disclosed aspects of her past relationships to some editors at the Times," and that these editors failed to inform Baquet and other senior editors in New York. He added, "As an institution, we abhor the actions of the government in this case." The records seizure, he said, are "an intrusion that puts First Amendment protections at risk and violated Justice Department guidelines that have bipartisan support." He also took note of a bizarre subplot in the Watkins-Wolfe saga - the apparently unauthorized accessing of Watkins's travel records by a Customs and Border Protection agent who approached Watkins and sought to pressure her into revealing more information. The agent is under investigation. Baquet said an internal review of Watkins' work turned up no issues of accuracy. Neither Baquet nor Watkins responded to requests for comment. As head of security at the Senate Intelligence Committee for many years, Wolfe, 57, was responsible for handling classified materials from the CIA, FBI and other agencies. As such, he had access to some of the government's more sensitive secrets, making him a potentially valuable news source. Watkins covered the intelligence committee for several years before joining the Times, where she was assigned to cover law-enforcement agencies. In a statement, Watkins said that she respects the Times' decision and agrees "that I should have handled aspects of my past relationships and disclosures differently." She added: "I sincerely regret putting The Times in a difficult position and am very grateful for the support I've received from my editors and colleagues here. I also appreciate the review's conclusion that my reporting has been fact-based and accurate." Watkins had a relationship with Wolfe starting in late 2013, according to the federal indictment, a period in which she began covering Wolfe's Senate committee. It also said that Watkins and Wolfe exchanged "tens of thousands" of texts, emails, phone calls and encrypted messages between mid-2014 and late 2017. Watkins was questioned by FBI agents in December, several days before she began working at the Times, according to the newspaper. She immediately reported this conversation to her editors in Washington. The Times' response to Watkins comes on the heels of its disciplinary action against Glenn Thrush, a former White House reporter. Thrush was suspended in December for two months and moved off the White House beat following an internal investigation into accusations that he had harassed several women while he worked for another publication. Watkins' reporting has attracted attention and praise. As a college student and then just after graduation, she was part of a team of reporters at McClatchy that reported on CIA monitoring of the Senate Intelligence Committee in 2014; the stories were a finalist for a Pulitzer Prize in 2015. While working for BuzzFeed News, she was the first to reveal that Carter Page, a Trump campaign adviser, met with a Russian spy in 2013, an important development in activities now being investigated by special counsel Robert Mueller.